Proprietary Name: Spotless Acne Clearing Treatment What is the Proprietary Name? 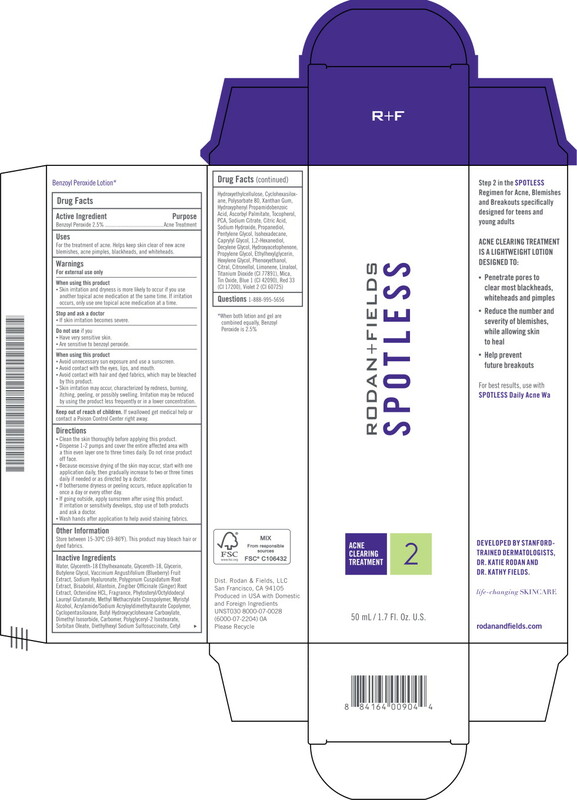 Spotless Acne Clearing Treatment with NDC 14222-1620 is a a human over the counter drug product labeled by Rodan & Fields. 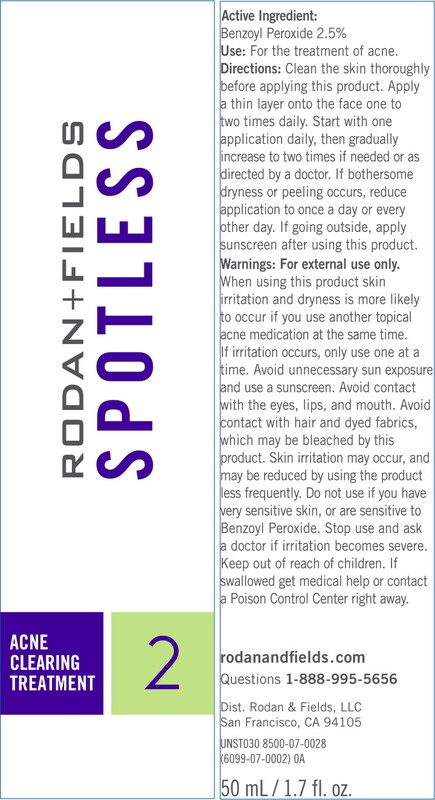 The generic name of Spotless Acne Clearing Treatment is benzoyl peroxide. The product's dosage form is lotion and is administered via topical form.